Posted on July 4, 2012 by admin Posted in Android, Review, Samsung	. Different countries, different names. Samsung Galaxy Mini GT-S5570 has several other names. For example, it’s called Galaxy Next on Italy and Galaxy Pop on India. Now, this considered successful Android phone has its successor. No, we’re not talking about Galaxy Mini 2, but what we talking about are Samsung Galaxy GT-S5570i (there is an “i” letter on the back of the series). This phone called Pop Plus in India; Next Turbo in Italy and in some Asia, it’s called Galaxy Mini Pop Plus. What are the advantages and the disadvantages of this phone? Is it better than its predecessor? To find out, read our Samsung Galaxy Pop Plus (Next Turbo) S5570i review this time. Others: Accelerometer Sensor, Digital Compass, 3.5mm jack, Wi-Fi 802.11 b/g/n, Bluetooth v2.1, Micro USB Connector, GPS. Just for your information, in some country, the Pop Plus sales Package is written Samsung Galaxy Mini! Thus many people don’t know that their device is not the same as the original Mini (S5570). However, there is a hint to differentiate Mini with Next Turbo / Pop Plus. If you find a “Faster 832 MHz” sticker on the box, then the device is the S5570i (Turbo/Plus). Samsung Galaxy Mini Pop Plus use 3.14 (240×320 pixels) capacitive screen, 3.15 MP (2048×1536) Fixed Focus Camera without flash, mono loudspeaker on the back, and 1200 mAh battery capacity. For all specifications mention before, include the additional phone sensor, the spec is similar, even we can say it’s same with S5570. To make this article short, I won’t review the Next Turbo design, screen quality, camera, audio quality and battery performance. If you need further information about those specs, you can read: Samsung Galaxy Mini Review Click Here. What makes Samsung Galaxy Mini (or SGM to make it short) and Pop Plus/Next Turbo different is the Processor and GPU (Graphics Processing Unit) used on the device. Those two hardware’s have a big impact on the overall Android phone performance. That’s why in this Samsung Galaxy Pop Plus review, I will concentrate to discuss on the performance, gaming capability and the pros and cons of this phone if compared with the SGM. Pop Plus use Android 2.3 (Gingerbread) operating system. There is no problem or delay when switching between menus, it’s quick and responsive. This is because the phone use 832 MHz processor on small resolution (240×320 pixel) screen, therefore it only take a little procie resources to process the graphic displayed on the screen. The Next Turbo S5570i performance is not much different than Mini. However, because the Plus use faster processor, the performance is slightly better if we use it to open or edit office application or any data processing apps. There many people or other websites said that the Pop Plus or Next Turbo doesn’t have GPU (Graphics Processing Unit). This is untrue, because when we install Quadrant application, it read that this smartphone GPU is Broadcom Series. The GPU itself is a processor that specifically has a function to process graphics and is have a big influence on the gaming performance. When we test this Android phone using benchmark app Quadrant, this phone score is 1160 (Above Samsung Galaxy S). With Neocore Benchmark apps, it gets 30-20 FPS (Frame per Second). GT-S5570i can play 2D and 3D games pretty well. Most of (not all) game downloaded from Google Play Store running smooth without problem. To directly compare the both phones is quite difficult. This is due the difference in the GPU used. SGM use GPU Adreno 200, while Pop Plus or Next Turbo uses Broadcom series. Therefore some game title that playable on Mini not necessarily can run well on S5570i and vice versa. If we use it to play 2D games, both of this smartphone have similar performance, most games will run OK. The problem raise when we try to install intense graphic 3D games on Galaxy Pop Plus. In this sector, the Galaxy Mini performs better in term of compatibility. Adreno series is one of the GPU that widely used for Android phone, hence many game developers will optimized their apps so it can run smooth on device that use Adreno. We can say that on STANDARD condition, the game title that playable on SGM S5570 is larger than S5570i. However, it doesn’t mean that Samsung Galaxy Next Turbo can’t play 3D games. Some of popular games titles are playable on this phone. For example: Pro Evolution Soccer 2012, GT Racing: Motor Academy, The Sims 3, and some others. If you want the S 5570i support much more 3D games, there is a trick you can take, which is by rooting the phone (Read: What is root Android) then after that installing Chainfire 3D application. Is Samsung Galaxy Pop Plus / Next Turbo has GPU? Is Galaxy Mini Firmware (ROM) can installed on POP Plus and vice versa? Answer: ABSOLUTELY NOT. Both devices had different hardware. Never ever try installing Mini ROM on Pop Plus. It can cause critical damage to your phone. 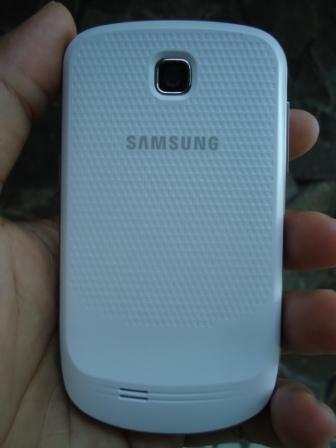 Is it the GPU and Processor used on Next Turbo / Pop Plus S5570i is similar to Galaxy Young GSM? Answer: Yes, that’s right. Therefore the performance and the gaming capability are similar too. 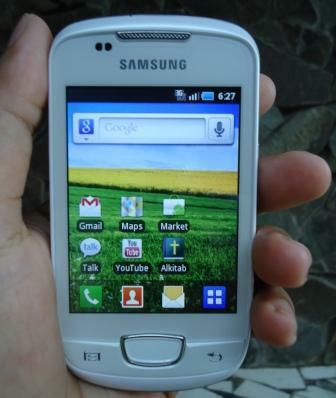 Galaxy Mini Pop Plus or Next Turbo use 832 MHz processor that faster than the previous Mini / Pop that use 600 MHz procie. However we can say that this is not a significant upgrade. To compare the S5570 with S5570i, I use Android application called Quadrant and Neocore. The function of both apps is to test Android phone (or tablet) performance. Quadrant app has a function to test processor, memory and graphic performance. For Neocore, it is more focusing to test the graphic performance. Tags: samsung galaxy mini vs pop plus, samsung galaxy next turbo review, samsung galaxy next vs next turbo, samsung galaxy pop plus review, samsung galaxy pop vs pop plus, samsung galaxy s5570i review	.